Looking to get more velocity out of your .30-06? 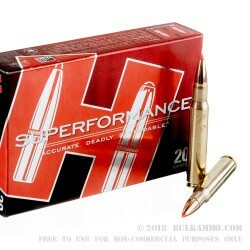 Hornady’s Superformance line gives extra power to your favorite round without adding pressure, recoil or temperature. 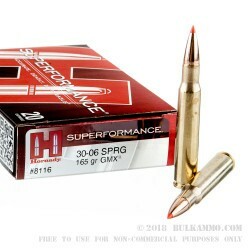 Manufactured with progressive Hornady powders and choice cases and primers, these rounds can deliver up to an additional 200 FPS without adding to felt recoil or decreasing consistency. These rounds also feature the GMX projectile. The GMX projectile features a one-piece copper alloy construction, makes for a round that will not separate and offers maximal weight retention, penetration and damage. 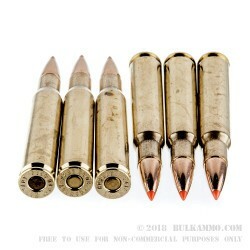 Retaining more than 95% of its weight, these rounds are an excellent choice for big-game and create devastating wound channels across a wide variety of prey, and are fully compliant with California laws for nontraditional bullet use. 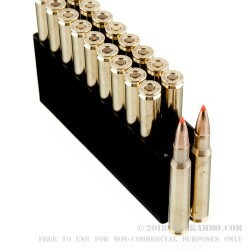 Loaded with a 165-grain GMX projectile, into a noncorrosive, reloadable, boxer-primed brass case, this .30-06 has a muzzle velocity of 2940 FPS and comes with 20 rounds in each box. Using only the highest quality components for their casings and bullets, Hornady’s goal is to create a more accurate, reliable round—no matter the situation. Since 1949, American-made Hornady has created high-performing reloading supplies and ammunition in their Nebraska facility and forged a reputation for quality, American-made ammunition.